Power Drills are commonly used for? Power drills are commonly used to bore holes in a variety of different materials.It is also used to fasten materials together using fasteners. An example of a fasteners that a drill can use is a screw. There are many parts of a drill. 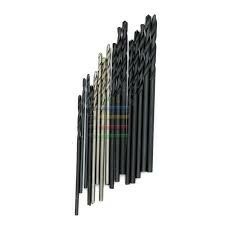 These parts would be the chuck, Torque adjustment collar, trigger, and Drilling tips. All these parts make a drill a drill. The Chuck, Trigger and Drilling tips for a power tool. The chuck is what holds the drill bits that the power drill uses to do a job. Two kinds of chucks key-less and keyed. Keyless does not require additional tools to change the bits when a keyed one does. The application of power to rotate the bit being used by the power drill. 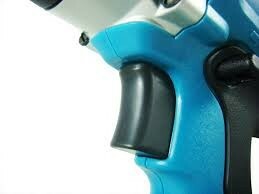 The trigger is located on the handle of a power drill for safe and easy use. The stronger you pull the trigger the faster the bit rotates. Drilling tips are what is put inside the chuck of a power drill to put holes in materials or fasten screws, nuts, or bolts. How to use power drills and change there drilling tips. 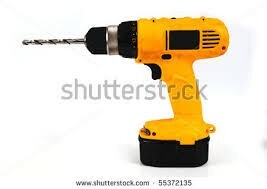 You use a power drill by placing your hand on the handle located at the bottom of a drill and another hand under the middle of the drill to keep the drill straight and in control. To change the drill tips you have to loosen the chuck take out the unwanted drilling tip, then place the wanted drilling tip in to the chuck and tighten it as good as you can to ensure it does not fall out. There is one last thing. The Hammer drill. The hammer drill is a power drill that breaks up brittle materials such a concrete and stone. 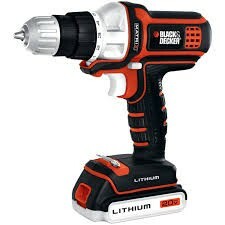 So it is more of a heavy duty power drill. 1.The speed control switch on a dual speed drill limits the ______ of the bit. 2. What part of a power drill protects the motor from excessive torque? 3.To drill into a workpiece, the directional switch must be in what position?